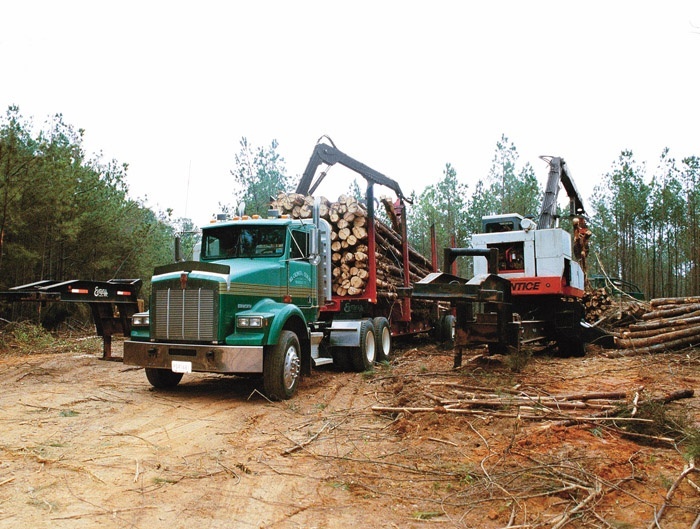 Timber Harvesting’s June issue is 2002’s feller-buncher roundup. Texas logging veteran Bill Burrell is featured for taking it all in stride and not stressing out about changing with the times. A section highlights feller-buncher choices with a look at the makes and models now available. 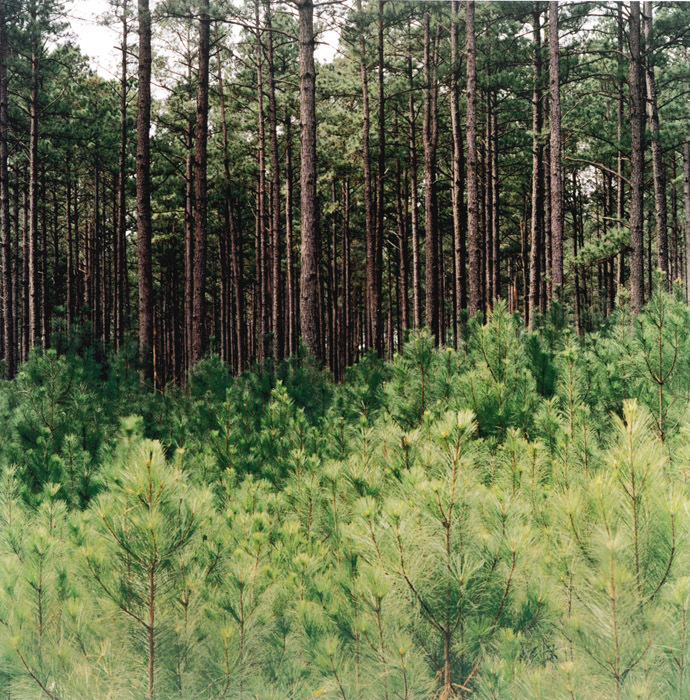 Also featured are articles about the U.S. Forest Industry’s future and the Timber Harvesting Expo Southeast. South Carolina’s Larry Cromer is spotlighted for being a quiet and humble leader as well as an effective activist. Radio chatter is sporadic as Bill Burrell drives to his logging site. He looks around to see what progress his crew has made, but doesn’t immediately see a certain piece of equipment. He keys his CB microphone and speaks, “Hey, T. Lee, where’s the shear?” Hearing no response, Burrell pulls up beside a company service truck and sees his foreman peering into a side storage compartment. 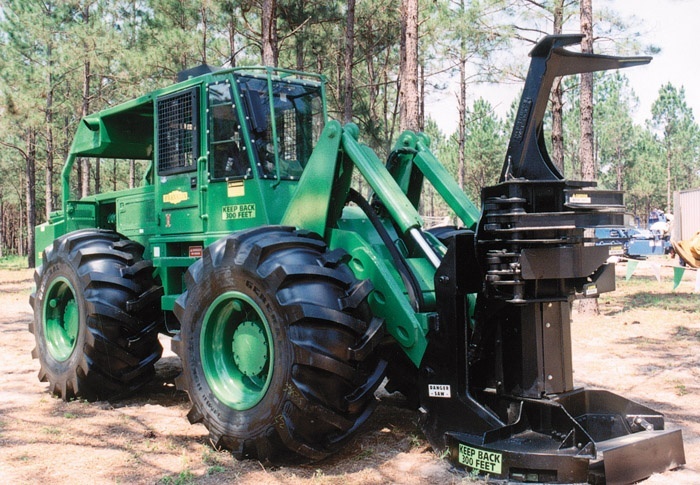 Barko has been manufacturing rubber tired feller-bunchers since 1985. After many years of offering one model, the 775, the company recently designed three distinct models to cover the majority of applications for rubber tired machines. 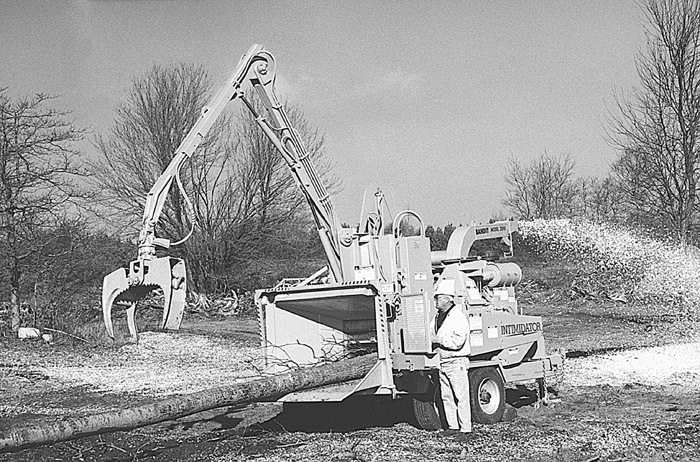 The model 685 was designed with the thinning contractor in mind. National Lumber and Paper, the largest forest products company in the world, has sold its entire U.S. timberland base and is ceasing domestic manufacturing. At the same time, it is advancing plans to expand operations in Brazil, New Zealand and Indonesia. Company president Jack Sands said National has inked a $17.8 billion dollar deal to sell its 31 million acre U.S. land base to upscale real estate developers in California, Oregon, Washington, Georgia, Maine and Minnesota. Soft-spoken and humble, logger Larry Cromer is the kind of man who doesn’t enjoy being the center of attention. He doesn’t like talking about himself and is very uncomfortable when a camera is pointed at him. But Cromer’s actions on behalf of the industry, both in and out of the woods, resound louder than a straining 3-53 Detroit Diesel. Blount International, Inc. is moving its corporate headquarters from Montgomery, Ala. to Portland, Ore. James Osterman, current President of Blount’s Outdoor Products Group based in Portland, is the new President and CEO of Blount International, Inc. He succeeds Harold Layman, who is retiring in the third quarter and will continue as a Blount director. In the last few years I’ve practically become an addict of talk radio. So much so, I seldom listen to the music stations anymore. There have been times I’ve driven 15 or 20 miles with the radio in ‘scan’ mode until it pulls in some talk show host. All-music formats tend to put me to sleep while a talk show keeps my mind engaged and focused. Allen Bedell, President of Circle B Logging, Fordyce, Ark., was elected Chairman of the Forest Resources Assn. (FRA) at the group’s annual meeting in North Carolina in April. 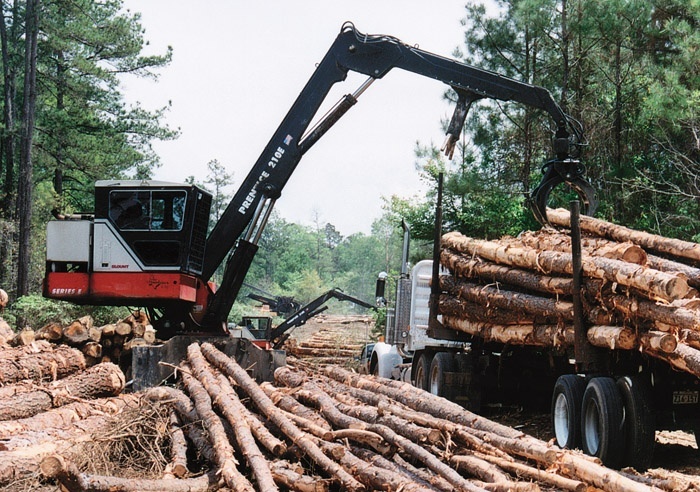 While it is not unusual for this well known logger to be in a leadership role, this latest position is most noteworthy in that he is the first supplier/logger member to serve as the head of the 68-year-old organization. 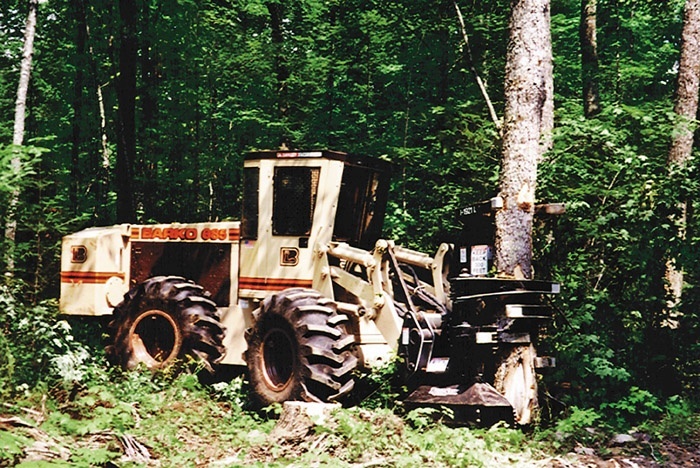 Franklin Equipment Co., which launched a skidder remanufacturing program in early 2001 as a lower cost alternative to new machines, has extended the effort to include C series feller-bunchers. Like skidders, feller-bunchers are rebuilt and upgraded from the frame up in Franklin’s Virginia factory. 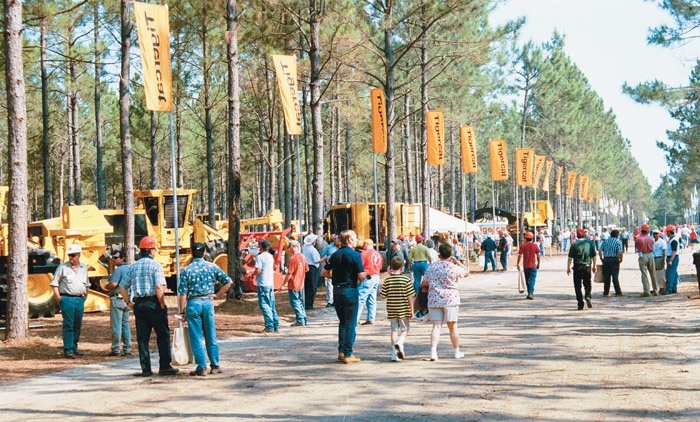 This gleaming 1996 model 5000 was included in Franklin’s exhibit at Timber Harvesting Expo Southeast in April. Bandit Industries introduces the 2090 Tree Bandit 18" capacity drum style whole tree chipper. Machine has 20.5"x24" opening; hydraulic feed system with 2 horizontal wheels (top wheel is 27" in diameter and 32" long and bottom wheel is 10 5⁄8" in diameter and 32" long). Machine is available with or without loader; radio remotes are available for non-loader fed machines.